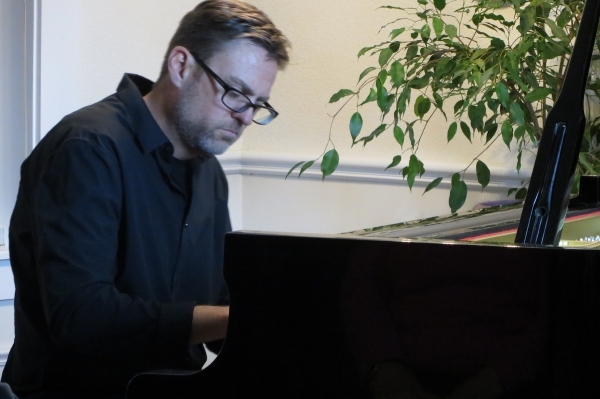 What I love most about running MainlyPiano.com and my house concert series is the opportunity to get to know so many artists and their music. 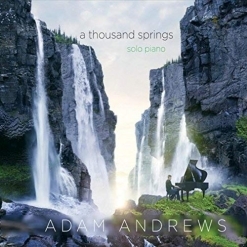 I had reviewed Adam Andrews’ first two albums before I met him a few years ago at one of the Whisperings Solo Piano Radio events, and really loved them both. His third album, Prayers in the Dark (2016), is intensely personal and earned some impressive awards. 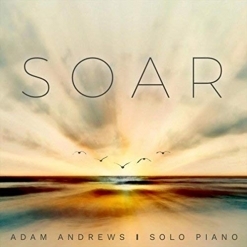 Adam played in my house concert series last fall (2017), and recently released his fourth album, Soar, which could be his best work yet. I think you'll enjoy getting to know Adam Andrews a bit better! KP: Hey Adam! Congratulations on the release of your new album, Soar! I think it’s your best album yet! AA: Thank you! I’ve had a number of people tell me that! Very grateful! KP: What was the inspiration for this album? AA: Love and family seem to inspire most of my music, and this album is no different. That said, this album does have a unique story behind it. As you know, my last album Prayers in the Dark was about my struggle with depression. I really had a hard time composing after that release because I felt that the world would expect the next album to be happy. I wasn’t sure if I could do that authentically. After spending some time away from the piano, I decided to take composing one day at a time and to write from the heart no matter what. When I got to Piano Haven to record, Joe Bongiorno, the engineer, commented that it was an uplifting album as I recorded the music and it kind of took me by surprise. It’s cool to see how faith and perseverance is paying off. KP: I think your honesty and sincerity are a big part of why your music communicates to and resonates with so many people. It’s very obvious that your music comes from the heart. I really enjoyed proof-reading the sheet music for Soar and Prayers in the Dark! When do you plan to release the sheet music? AA: I plan to release the sheet music in late October or early November 2018. KP: Will it be downloads only or do you plan to do songbooks? KP: Yea! You mentioned that the inspiration for many of your pieces comes from your family. How old are your kids? Are they showing any interest in music? AA: That’s very true. Most of my music is inspired by what I value most, and family is important to me. 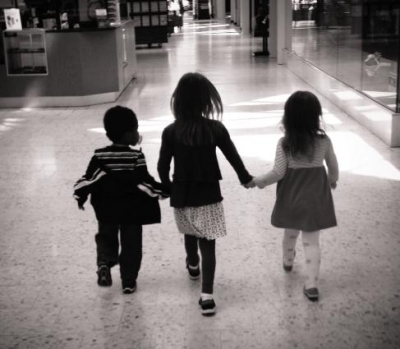 My kids are 11, 9, and 7 years old. The older two are taking piano lessons and doing very well. I never ask them to practice because they just love it. They’ve already started composing as well. It’s fun to watch! KP: Wow! That is inspiring! 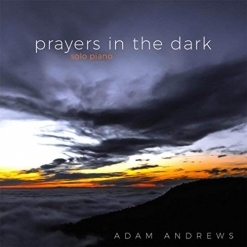 Your previous release, Prayers in the Dark, was awarded the 2016 “Album of the Year” by Whisperings Solo Piano Radio and “Christian Album of the Year” by SoloPiano.com. I really love that album, too. What inspired you to compose the music for that one? AA: Thank you. Prayers in the Dark was a very personal album. I was struggling with depression and anxiety. While composing for the album, I had several sleepless nights and would spend time in prayer asking for healing and trying to listen for answers. Many of the melodies came to me in the quiet of the early mornings, while it was still dark outside. I’m still in awe that such a personal album was so well received, and that the music has been healing for many people. KP: It’s an amazing album and I’m sure your being so candid about it has helped a lot of people. 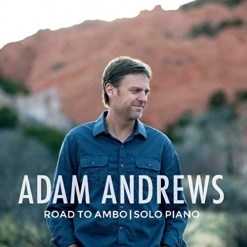 Your 2014 debut album, Road To Ambo, also has a very interesting story. Tell us a bit about it. AA: My son was born in Ambo, Ethiopia and about 2 years after we adopted him, I started composing music that was inspired by that journey. I think it took that long for me to be able to truly process all that our family had experienced up to that point. Our family fought hard for him and there were times that we weren’t sure he’d be able to come home with us. Our son is a hero of mine and he still inspires my music. KP: He sounds like a great kid. Actually, all three of them sound great! Let’s back up a bit and talk about your background. Where were you born and where did you grow up? AA: I was born in Indiana. At 2 years old, my family moved to Denver, Colorado. That’s where I grew up and I still live in Colorado. I enjoy waking up to a view of the mountains every day. AA: I took my last lesson at 13 years old. AA: Yes, from the very beginning! I took lessons from a very talented husband and wife duo who were fairly progressive at the time and encouraged improvisation early on. Composing is like riding a bike, for me, and I think their teaching style was a catalyst for that. 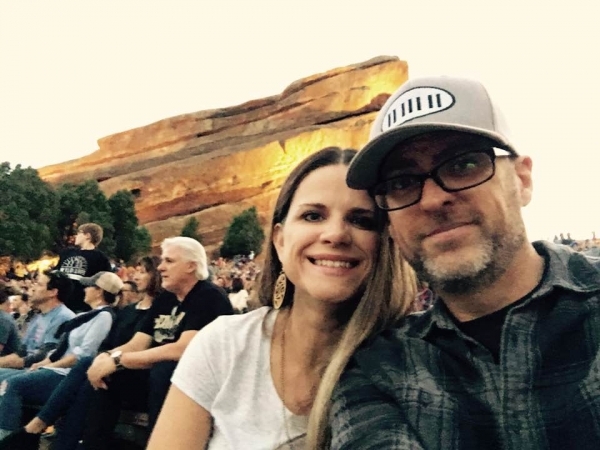 Adam and his wife, Rachel. AA: My mom was a music minor in college. She has a beautiful voice. She plays a little bit of piano and guitar as well. She was the one who got me started in piano. In fact, I remember her asking me if I wanted to take lessons, but I wasn’t interested. About a week later, she told me to get in the car to go to my first piano lesson. The rest is history! KP: I think that happens a lot! Do you play any other instruments? AA: I’ve dabbled on drums and guitar and could probably pick them up fairly easily if I wanted to. It just hasn’t been a priority. AA: I actually have a Business degree and played very little piano from age 13 until I was in college. While in college, I started to play again but I just composed original material. I’d go into the music building or dorms on campus and would hope to find practice pianos available to play on. KP: Have you done any teaching? AA: About a year ago I started teaching part-time. I was classically trained as a child, but I’ve forgotten a lot of it. I decided to teach to work on my weaknesses a little bit and to inspire people. I didn’t intend for it, but I’ve found a niche in teaching students with additional needs or who excel in a more flexible environment. Piano has brought me great joy and I’d love to pass that joy on to others. KP: That’s great! How old were you when you wrote or composed your first piece? AA: I was improvising and composing at 7 or 8 years old. I was in college though when I wrote my first “official” piece that I recorded. My very first album was recorded on an electric keyboard and I only made 20 copies for family and close friends. KP: Tell us about the Christian rock band you were in. AA: Shortly after I graduated from college, I began having a recurring dream that I was playing with a worship band. A good friend of my brother was the singer in that dream. One day we crossed paths by chance and I asked him if he’d want to start a band. Just a few months later we were touring and I spent a few years doing that full-time. KP: Your wife, Rachel, works for a non-profit, right? AA: Yes, Rachel has worked for an international non-profit for 18 years that empowers and encourages many vulnerable children and families. Her compassion is one of the things I love most about her, and she’s very good at what she does. I’m the luckiest man in the world! AA: In my early 20s, I was diagnosed with depression and anxiety, and it’s that journey that has influenced my music more than anything. It’s brought me to highs and lows that only the piano could express accurately. I truly feel that my creativity improved exponentially through that. KP: Wow! Who are some of your favorite composers? AA: My favorite bands are Needtobreathe and Coldplay. 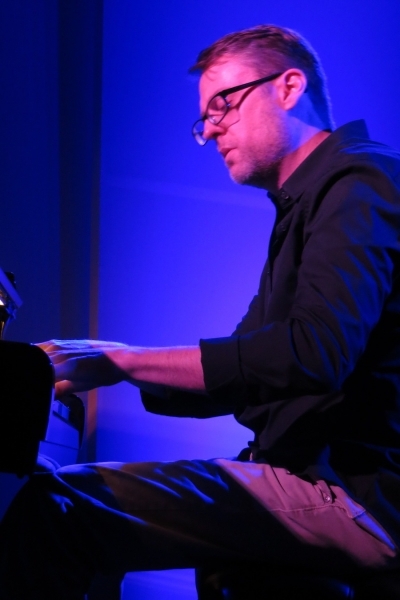 I’ve never listened to a ton of solo piano music, but here are some pianists/composers that I look up to for a variety of reasons, such as musical brilliance, business acumen, and/or compassion exhibited: Chad Lawson, Neil Patton, Michael Logozar, Michele McLaughlin, David Nevue, and Joe Bongiorno. KP: That’s a great group! What has been your most exciting musical moment or musical experience so far? AA: As a solo pianist, the most exciting moment was winning Whisperings Album of the Year. So many of the Whisperings artists have been so kind to me and being a part of that community has made me realize I’m not alone as a person or musician. That award meant the world to me. 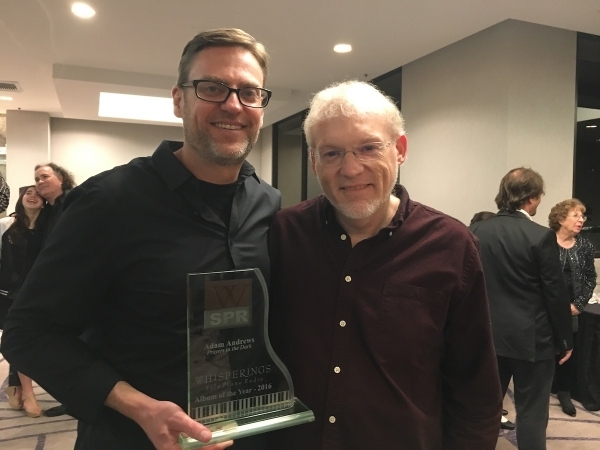 Adam and his Album of the Year award with David Nevue at Whisperings 2017. KP: You so deserved that award! Is there a particular philosophy that you try to convey in your music? AA: I enjoy telling stories through music about love, family, and personal journeys, and I’m grateful that it brings hope and healing to the world. AA: That’s a tough question for me to answer. I just try to be grateful and make the world a little better by doing what I do best. KP: I like that! Is there anything else you’d like to “talk” about? AA: Thank you for this interview, Kathy, and for all you do to elevate piano music for the world to experience! You are truly one of a kind! 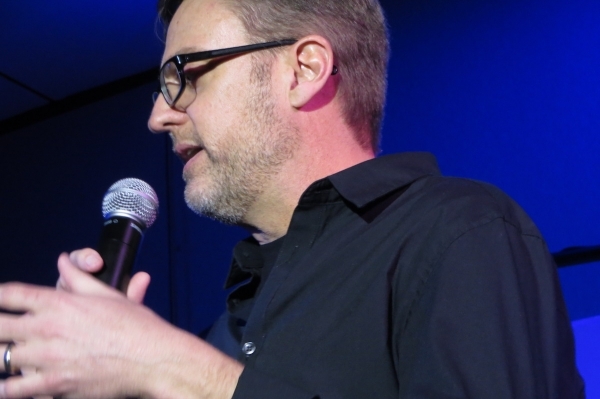 Many thanks to Adam Andrews for taking the time to do this interview! For more information about Adam and his music be sure to visit his website and his Artist Page here on MainlyPiano.com.